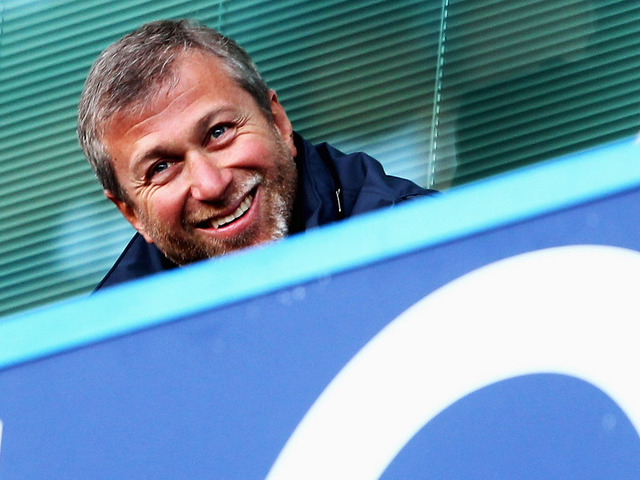 10 years ago this July, football changed forever when an unknown Russian Billionaire by the name of Roman Abramovich bought Chelsea Football Club for £140m and immediately set about spending significant sums of his vast fortune on player recruitment. The impact was felt almost immediately, and within two seasons Chelsea were Champions for the first time in 50 years. You would struggle to find a Chelsea fan (or Manchester City fan for that matter) who would argue that the significant injection of capital is bad for their football club or the game in general. The impact however, has been felt far wider than the salubrious London district of Chelsea, with the shockwaves still reverberating around the Premier League, as the rest have desperately tried to keep up with the Abramovichs. One team having more money than another is not new to English football. Everton were once known at the “Mersey Millionaires”, as Sir John Moores used his Littlewoods Empire to fund Everton under a succession of managers, most notably Harry Catterick as Everton twice won the league title in the 1960’s. However, over the last 10 years the disparity between the “have’s” and the “have not’s” has grown significantly, with Chelsea and more recently Manchester City operating on a different playing field to everyone else. Unfortunately for Everton, the Abramovich era coincided with the lengthy and most astute stewardship of the Blues since Howard Kendall left first time round to join Athletic Bilbao. Despite David Moyes skilfully assembling a talented, albeit threadbare squad, his teams were fighting an almost impossible battle for top honours. The days of a dedicated and highly skilled coach, developing his team over time to become the top side in the country have disappeared, and whereas Brian Clough was able to bring his Nottingham Forest side out of the 2nd tier and on to double European glory in the late 1970’s, now football is dominated by money. This apparent unfairness wore David Moyes down over his tenure at the Blues, as he slowly accepted the fact that the opportunity to fight tooth and nail with the likes of Chelsea was near hopeless. Ironically it was always Chelsea who seemed to deny Everton and Moyes from securing the silverware we all craved. The 2009 FA Cup Final, the most painful, but also the League Cup Semi Final of 2008, when the absence of Yakubu, Yobo and Pienaar to the African Nations Cup, left Everton toothless in the 2nd leg at Goodison. Chelsea were also missing big names that day, with Drogba and Kalou away with the Ivory Coast, but the Londoners were able to lean on their over resourced squad and replaced the two Ivorians with England international Joe Cole and French star striker Anelka. No team deserves or has a right to be successful. Success has to be earned, but the arrival of Abramovich upset and shook up the accepted hierarchy of English football. Despite once been established as one of England’s “Big Five” clubs, we suddenly found ourselves looking in from the outside and dreaming of finding our own Russian Billionaire. 11 years on, and we are still waiting. So what about Manchester United? Didn’t they instigate the Premier league? joined by Spurs, Liverpool, Everton and Chelsea to threaten to form a break away league because tv money was equally divided between the clubs? Wasn’t it Martin Edwards that stated the smaller clubs were bleeding the bigger teams dry? Wasnt it Manchester United that was buying players like Rio Ferdinand, Veron etc years ago for £30 million a shot at todays prices £80 mill who knows? I really just can’t believe peoples mentality and how short their memories are. Moyes never won anything but just because he’s from Scotland people think he will like Ferguson who was from one of the tougher parts of Glasgow where as Moyes was from Bearsden a very middle class area. I never liked the guy and I think he always bottled it when the chips were down eg. Europe and much worse the FA cup I just hope he takes United down. THE MONEY WAS DRIVING THE GAME BEFORE ABROMOVICH!!! Football has always been governed by money, with those having the most generally winning the majority of the silverware. I think now more than ever, it has become almost impossible to have a sustained period of success without huge financial investment, although I continue to hope that someone will come from somewhere and prove this theory wrong. Wouldn’t it be brilliant if it was Everton and Roberto Martinez!!! Interesting article but probably lacks a bit of depth , I would find the authors opinion interesting on FFP . I really cant understand why Everton voted for it , outside investment seems to be the only way you’d be able to move or rebuild Goodison and start competing at the top table again . I would be happy to see Everton build a team in a more traditional way, much in the way that Moyes did, but hopefully taking that extra step. If you take out Abramovich and the Sheikh at Manchester City, it is difficult to pinpoint another major investment that has been beneficial over the long term. I personally think Everton are better off without the boom or bust mentality that a lot of foreign owners bring with them. I am not convinced that FFP will change the face of the game that significantly. We have already seen Manchester City secure an almost unbelievable sponsorship deal and I believe teams will use other creative ways to overcome the restrictions that FFP is meant to bring into place. Everton cant build because simply you always loose your best players to clubs like Man U. You have honest decent fans but to tolerate rubbish like Man U undermines whatever you do. The best thing you can do is fight against David Gill who now is director of FFP and still on the board at Man U!!!!!!! He can almost decide the league and European outcome without a ball being kicked! I just cant believe you and most people cant see what Man U do. How can anyone build without financial might against Man U who were the richest club in the world? As I said before THEY were the ones who would simply buy players to build their squad and undermine other teams. e.g Carrick Spurs were blooming under Jol then they bought him team went down. Saha, Van de Saar – Chris Coleman and Fulham doing well then Man U bought them – team went down. Then of course Wayne Rooney what would you and Moyes have done with him? I think got into the champs league. I think if you are happy with Man Us conduct over the last 50 years then you will accept playing with teams like Doncaster so the best thing is you lot go down and we get fans with fire in their belly willing to take on the bullies like Man U.